Unicorns are all the rage right now and Cake Smash Sessions are too! I am not sure what sparked the sudden uptick in the popularity but I was not surprised I got asked to do a Cake smash for them! 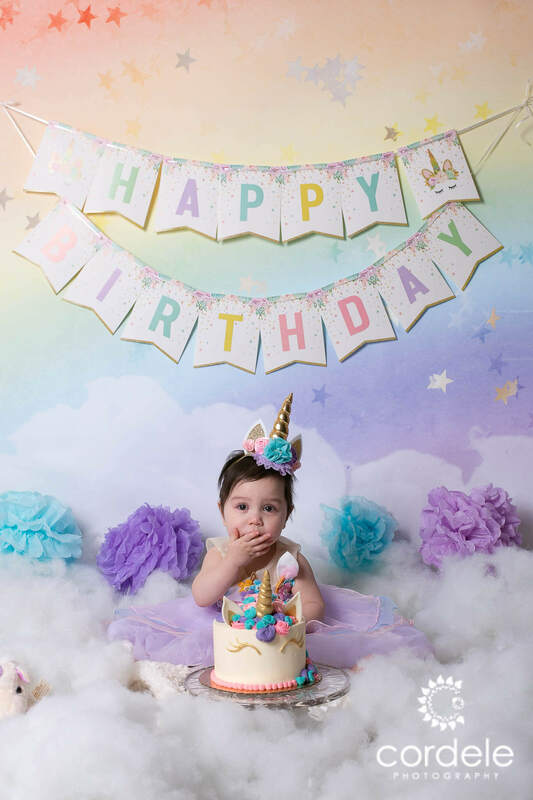 This little one is the sibling of this session. 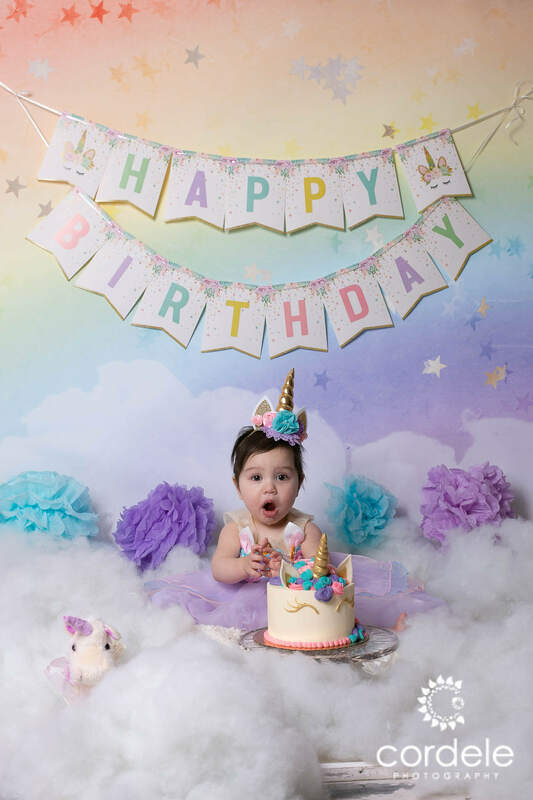 When mom called and asked to do a Unicorn Session for the Cake Smash, I was SO excited! First I had to come up with a background and then I had to do the set design. After a few weeks, I came up with a great idea. 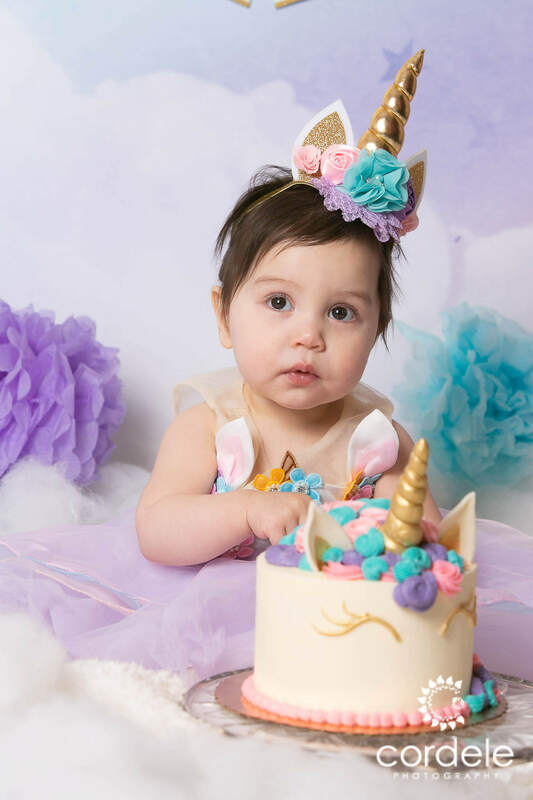 Both Cakes came from Cakes for Occasions. 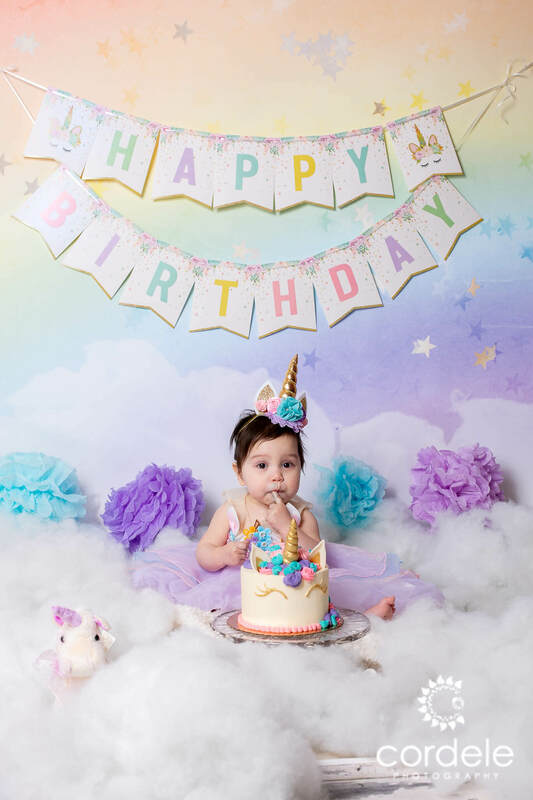 (Fun Fact, I have a coupon for any Cake smash client that does a Cake smash with me, to get a $20.00 Basic Cake with them!) This session was SO much fun. I really strive at coming up with my own sets and not copying other photographers. 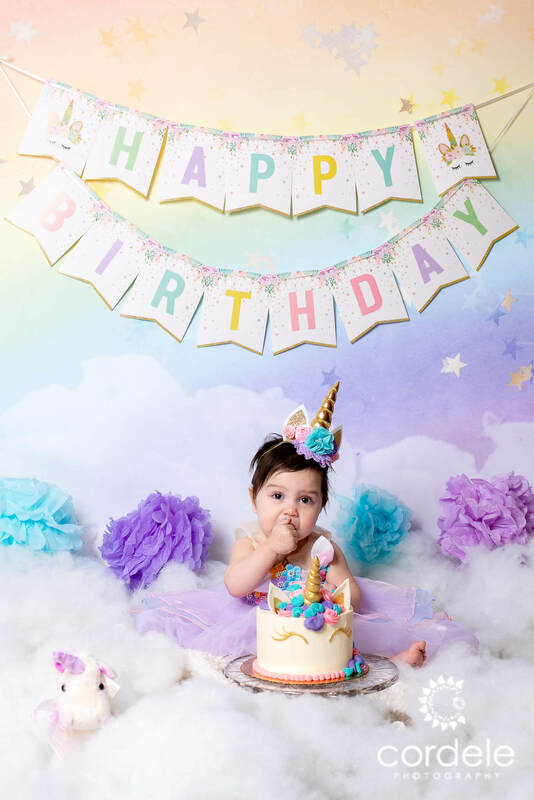 With Unicorns, it’s hard to be original but I think we did it! 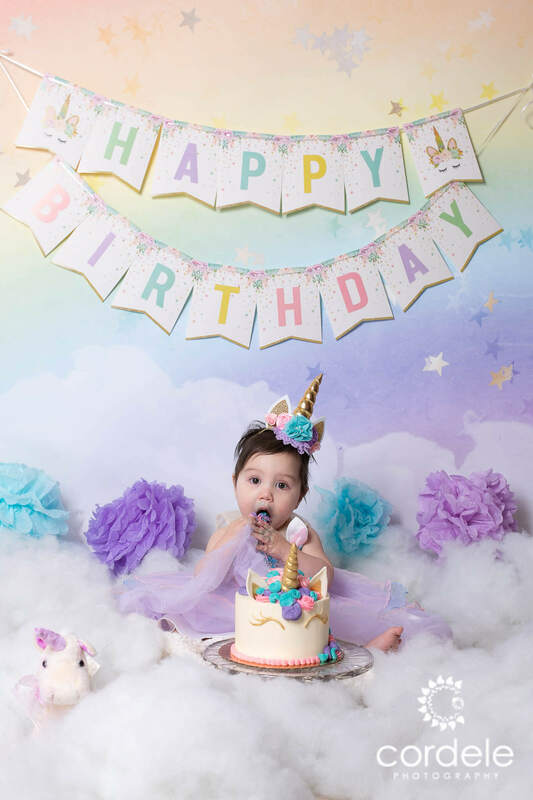 This was one very cute Unicorn Themed Cake Smash Session.